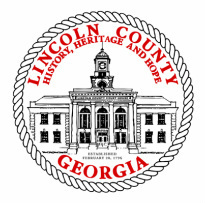 As Chairman of the Lincoln County Board of Commissioners, I would like to extend a warm and friendly welcome to you as you get to know Lincoln County. We are a community of which our people are our strongest asset, working and doing what is necessary to make life better for us today and for the generations of tomorrow. If you are viewing this site from afar, a new resident just settling in, or a community member we already know, we are glad you are here.This website provides access to the many services provided by Lincoln County, services that help make the quality of life as special as it is. I invite you to visit all county departments to learn more about their programs and active roles within our communities, as well as, visiting links, visitor information sites and many other sites of interest. Thank you for taking the time to visit our website. We encourage you to take advantage of the services that Lincoln County has to offer!